InterNations Birmingham Underground Get Together! It's February get together time! This month we are going underground to one of Birmingham's hidden gems. Bacchus is the God of wine and naturally drinks and conversations always flow at this venue! 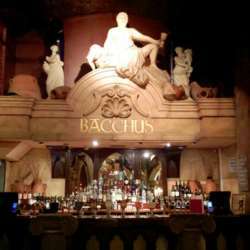 Join us at the amazing Bacchus Bar in Birmingham city centre. The bar is actually underground so look out for the signs and you should be able to find it (I've added some pictures to help you recognize it, too). This event always doubles up as Dee's extra birthday party too so it's an extra reason to come and join us! This event has an open guest list so does not have the restrictions of last month so everyone who missed out can get into this one for sure. Who can come? - Everyone with an international mindset! Any first timers will be guaranteed a nice time with a warm and friendly welcome from everyone. Hope to see you all there for the chance to drink, laugh, smile and make good memories!